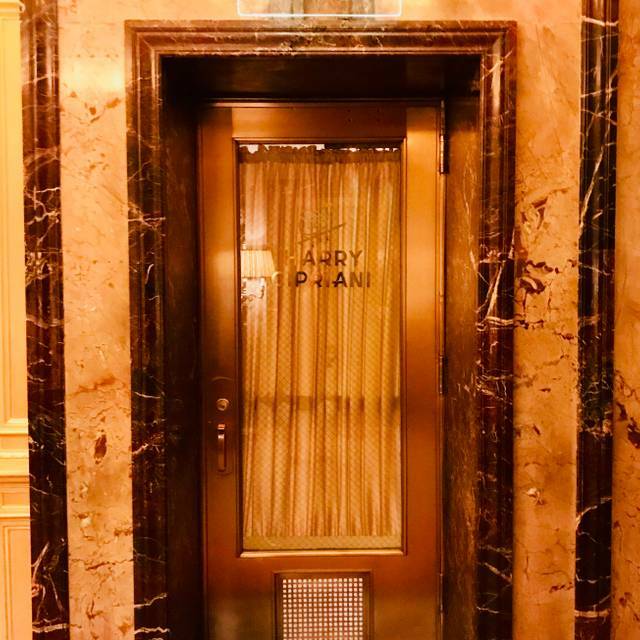 You must make reservations at least 5 minutes in advance of the time at Harry Cipriani. We offer a semiprivate area for your small parties. 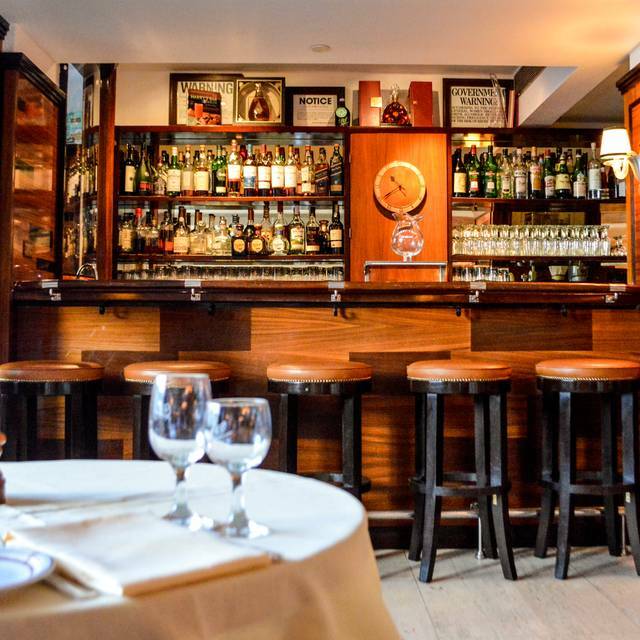 This fashionable restaurant is almost an exact duplicate of the original Harry's Bar in Venice. It is packed daily with chic New Yorkers and visitors from all over the world, whether it is for a popular power breakfast or business and leisure lunches and dinners. 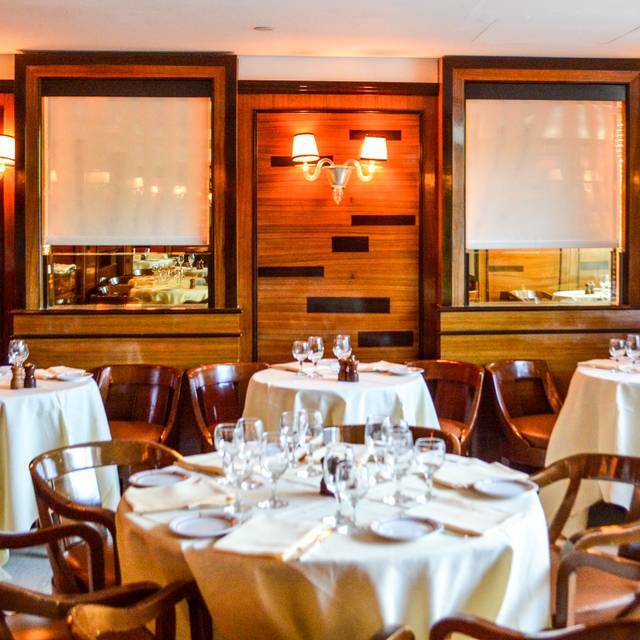 Harry Cipriani offers the classic menu of unique Cipriani specialties and Italian favorites. Whether you are a regular with your "own table" or a first time guest, you are received with warmth and enthusiasm. Fondo di Carciofi "Braised Artichoke Hearts"
with Black Squid Ink "Al Nero"
My friend whom I wanted to have a great experience was more disappointed than me. But she’s right. The service was slowwww and mostly absent when you needed it. It started great from the host but from taking meal orders to looking to pay at the end, no one bothered to check at our drinks if we want more or checked in if everything was fine. Unusual for a high end restaurant. So I agree with a previous diner’s comment. Go yo Il Tinello for greatness. Drinks and Dinner at Harry's Bar is mostly a one or two visit experience because the cost alone is just bordering on ridiculous by almost any standards. I am not your bog standard tourist and come from a very well off family always staying in the best hotels and resorts but honestly it's almost a joke the cost of dinner at Harry's and really I don't know how they sustain their business but, of course, they do as they are legend and have been around for many, many years as a spot for the uber smart to dine at. So then... continue to rest on your laurels and good luck! The Bellini experience would've been more exciting in a lovely fluted glass as opposed to the short stubby "traditional" glass; the starter of asparagus, goats cheese and beetroot was totally underwhelming albeit fresh but it was bland and tasteless. An interesting dressing of some sort would have benefitted. The risotto with prawn and courgette was positively the best thing I have ever eaten in my life and the vanilla meringue sponge cake was historically the best dessert that I have ever eaten hands down anywhere in the world - the kitchen was very, very slow so we were offered lightly and delicately fried artichoke leaves which were so delicious and melted in our mouths but it was one hour for the main course and we arrived early when it was not crowded so as it filled up quickly with a lot of kissing and hugging of customers, obviously other orders were put in front of ours. A lot of local Italians were eating there and not tourists that night so they were looked after at our expense. Service, nevertheless, was excellent and professional but waiters all a bit smug and very pleased with themselves especially the maitre d' in the dark blue suit who was insincere and bordering on patronising but had a big smile and was sweet as cherry pie to everyone all a bit of a show though but it was all an experience! Like NYC/LONDON. The service is very good. The food, however, is utterly mediocre. The Branzino was ordinary, flaccid, and blandly tasteless. It did not even seem quite fresh. The mashed potatoes were flavorless as well. No culinary touch to be tasted in either main course item. The Chocolate Cake was excellent, but at $22 incredibly overpriced! Overall, there are many, many high-end restaurants in New York that I frequent that far out-shine Harry Cipriani! A seriously disappointing experience. If you want to indulge in a memorable meal, do it here! The service and food were beyond compare. Food service and ambiance was fantastic. Sergio is amazing. Old school, wish there were more places like this in NYC, but it comes at a price and the price is very steep. Its not cheap there but the ambiance is great, the service perfect and the food consistent. Excelente. ! Mi restaurant favorito. ! En New York y en Miami ! The bestttt ! As close to the original Harry’s Bar in Venice as one can get. Ambiance devine. Service is like a ballet. Food excellent. Clientele chick and entertaining. Perfection. Un clásico imbatible de Nueva York. Excelente servicio y ambiente!! We spent a great night celebrating my father`s birthday. Dinner was fabulous, the Osso Bucco was the best I've ever experienced ! We were in NY for my wife's birthday and I'm glad we changed our plans and went here. We had a great time. Staff is excellent. Overall I would recommend the restaurant for a night out at a nice restaurant. The food was excellent, but the prices are a bit inflated in my opinion based on other similar restaurants. The service was above average, but did leave some room for improvement. Muebles viejos pero la ubicación es muy buena. All in all it was a lovely experience. The attention is great, they had run out of burrata which was a little disappointing. It is a little loud, but luckily we sat on a corner that we were protected from the noise. All the people who work there are extremely nice! They make you feel the best! 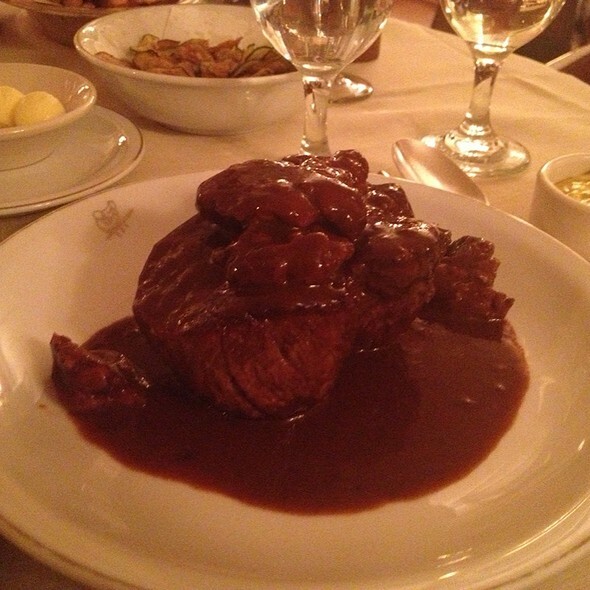 The best of all is the feeling you get from eating at Harry Cipriani, the happiness is contagious! The waiters are SOOO bad, can’t wait to get you out and don’t offer any insights to the menu, they just hand the menu to you and are so rude! Then they poor you a $25.00 wine by the glass in a 2oz pour!!! I seriously asked the waiter where the rest of it was? Don’t bother going! 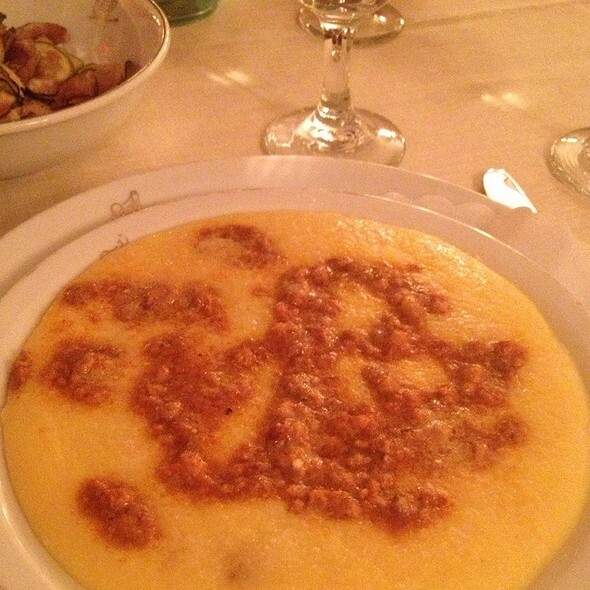 There are so many good Italian restaurants in NYC like Il Tonello, no one needs Cipriani! Sergio has a wonderful way of making everyone feel special. The service was fantastic. One server was better than the next. So welcoming and friendly and made my mom’s birthday very special. Fue la última cena de nuestra luna de miel! Todo fue excelente, excepto por una mesa muy ruidosa y desubicada. Los mozos y managers se disculpaban continuamente pero no eran ellos el problema, vamos a volver y esperamos no cruzarnos con estas personas tan “ruidosas” por llamarlos de algún modo. Very underwhelming for a NYC staple. I was expecting real Italian and instead I received overpriced nonsense! Wonderful hospitality. Lovely Italian atmosphere. Food and drink are overpriced but I understand that the prices pay for the real estate and the service. There is nothing special about the food at this place. My ravioli was average. My husband’s fish was also average and the presentation was terrible. The service was terrific but I felt a little rushed. The tables are very close together. 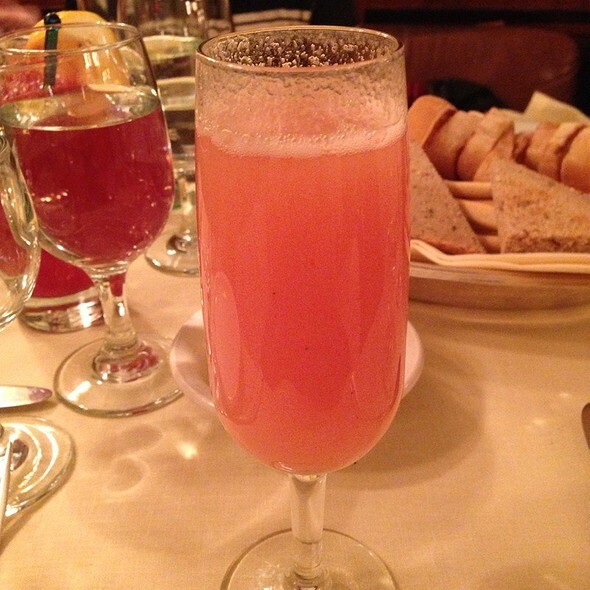 This was my first time dining at Cipriani’s—and the experience was worth the wait!! I just wish we had eaten here many years ago while we were living in NYC, we would have enjoyed Cipriani’s on a more regular schedule. We had a warm welcome from the maitre d followed by excellent service and although we had high expectations, the food was even better than expected. The bresaola and salmon appetizers were perfect and our entrees—papardelle bolognese, veal cheeks and osso buco—were spot on. The bottle of Amarone was a perfect compliment, thanks to just the right amount of input from our waiter. 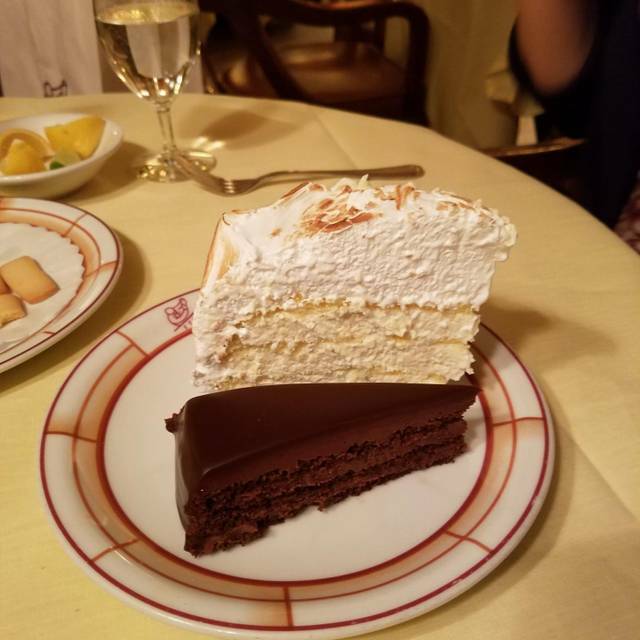 We had to try the famous meringue cake; that, while a little sweet, was a real treat. In summary, we were treated well with great service and excellent food. Thank you Cipriani’s!! We will be back as often as possible!! I should have read other reviews before booking a table at Harry Cipriani. Tables are crowded together so that other peoples' conversations are clearly audible and if there was an emergency, exit from the restaurant would be impeded. The noise was almost unbearable. It was impossible to have a conversation. Our table was next to the servers' staging area so we were treated to the rattle and clang of dishes and cuttlery on top of other noises. The food was mixed in quality and NOT a good value ($22 for a small bowl of soup that cost pennies to make: REALLY!!). Although my husband enjoyed his fish, I felt that I prepare tastier pasta at home. I am not a name dropper so being able to say I have been to this famous restaurant is meaningless. In fact, our experience was so unpleasant that I am embarrassed to say that we spent so much for such a lousy evening. We couldn't wait to leave. 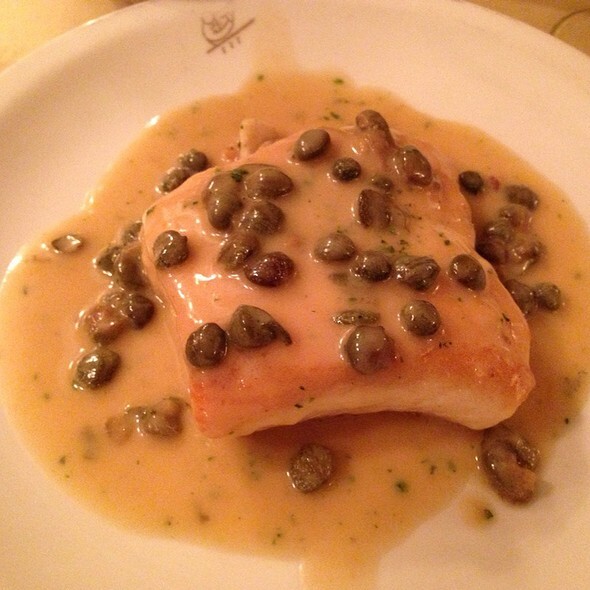 Best food on earth— consistently fabulous and tasty— best service as well! This restaurant was recommended to me by The Plaza Hotel. The manager greeted his regular customers with great enthusiasm. We were not greeted at all. We were shown to a table that had a perfect view of the desert stand. We waited and waited and waited to be served. Once we gave our order it came out in an acceptable amount of time. My husband's food was not fit to eat and I didn't get what I ordered. The server was rude and the price of a 8 oz coke was $8. It was one of the worst restaurants I have ever been to. We love Harry Cipriani. 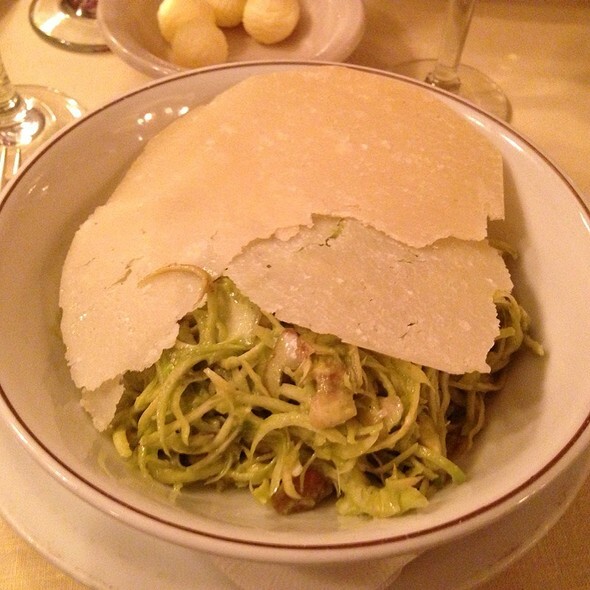 Pasta is always delicious and the service is wonderful and old world.